【日本語訳付き】Peppa Pig フレーズ集　Muddy Puddles編 | English Culture for Kids! Mommy: If you jump in muddy puddles, you must wear your boots. It is raining today, so it is better to wear your boots. Peppa: Let’s find some more puddles. Would you like to have some more? Peppa: Daddy, Daddy! Guess what we’ve been doing? Have you already took a bath? Narration: It is raining today, so Peppa and George can not play out side. Peppa: Daddy, it stopped raining. 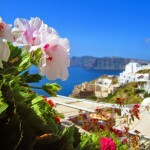 Can we go out to play? Daddy: Alright, run along you two. Narration: Peppa loves jumping in muddy puddles. Peppa: I love muddy puddles. 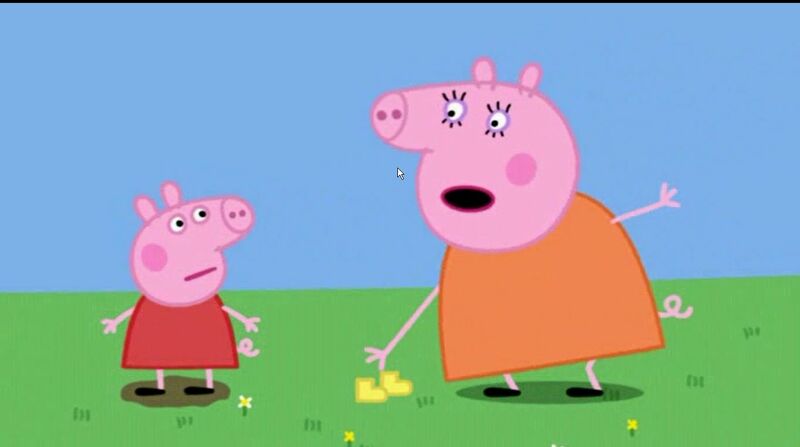 Mommy: Peppa, if you jump in muddy puddles, you must wear your boots. Narration: George likes to jump in muddy puddles too. Peppa: George, if you jump in muddy puddles, you must wear your boots. Narration: Peppa likes to look after her little brother, George. Peppa: George, let’s find some more puddles. Narration: Peppa and George are having a lot of fun. Peppa has found a little puddle. George has found a big puddle. Peppa: Look George. There’s a really big puddle. Narration: George wants to jump in to the big puddle first. Peppa: Stop George. I must check if it’s safe for you. Good, it is safe for you. Sorry George. It’s only mud. 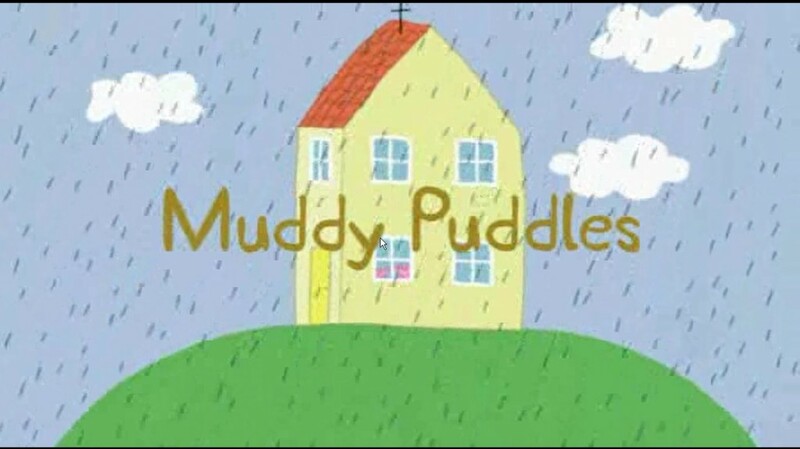 Narration: Peppa and George love jumping in muddy puddles. 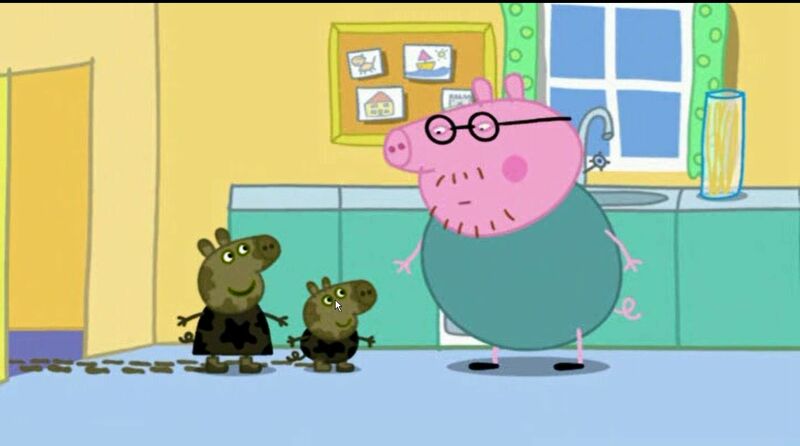 Peppa: Come on George! Let’s go and show Daddy. Peppa: Daddy daddy, guess what we’ve been doing! Daddy: Let me think. Have you been watching television? Daddy: Have you just had a bath? Daddy: I know, you’ve been jumping in muddy puddles. Peppa: Yes yes Daddy! We’ve been jumping in muddy puddles! Daddy: Look at the mess you’re in. Oh well, it’s only mud. Let’s clean up quickly before mommy sees the mess. Peppa: Daddy, when we’ve cleaned up, will you and mommy come and play too? Daddy: Yes, we could all play in the garden. 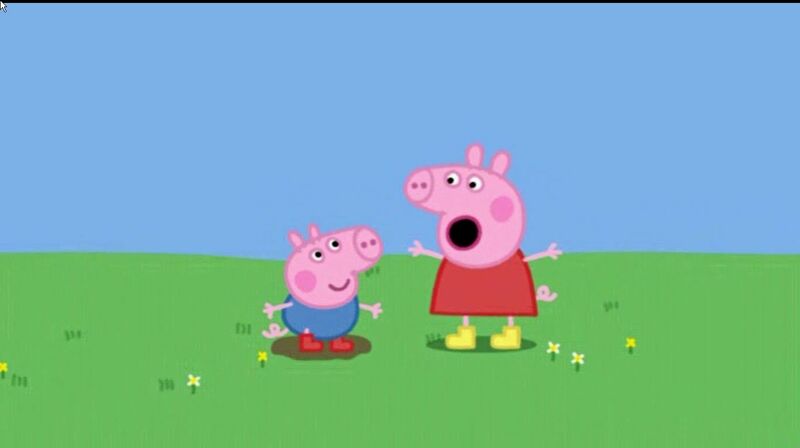 Narration: Peppa and George are wearing their boots. Mommy and Daddy are wearing their boots. Peppa loves jumping up and down in muddy puddles. Everyone loves jumping up and down in muddy puddles. Mommy: Oh Daddy Pig. Look at the mess you’re in. Look at the mess you’re in. Oh well, it’s only mud. あとここでのLet’s clean up quickly before mommy sees the mess.